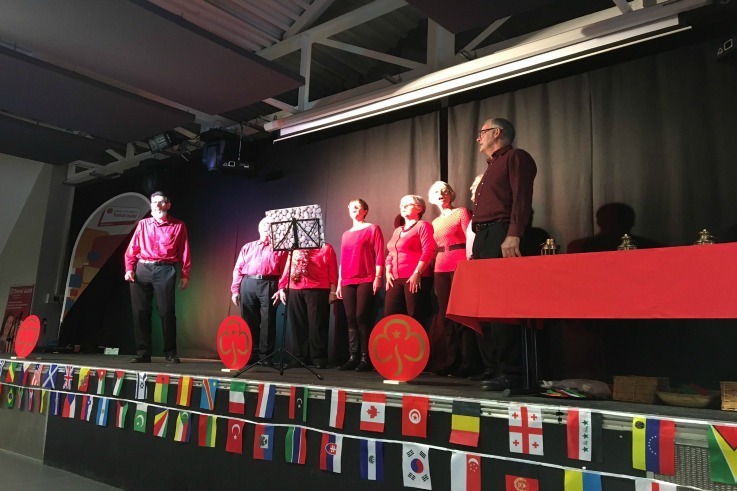 Can you help our Trefoil Guild to support a charity? Yesterday our County Commissioner spent time at the Trefoil Guild International Day. There was an excellent guest speaker from Life for African Mothers; she told everyone about her fight to save mothers dying in Sub-Saharan Africa due to excessive bleeding post giving birth. They lack the drugs at a cost of about 60p (a first class postage stamp to us) to save these ladies and the risk of death to them is 1:36 pregnancies. Angela, the founder does some fantastic work including provision of drugs, teaching midwives skills and the provision of baby clothing bundles to support these ladies. Your Trefoil Guild is working hard to collect baby clothing and I am sure some are knitting too! If you have any baby clothing you could donate, please contact us, Cris the Trefoil Chair or your local Guild. You can find out more about Angela’s work at www.lifeforafricanmothers.org ……. she was a very inspiring lady.